Shachar Strug of elite Duvdevan unit buried at military cemetery in Tel Aviv. Strug apparently killed by bullet from his comrade's weapon. 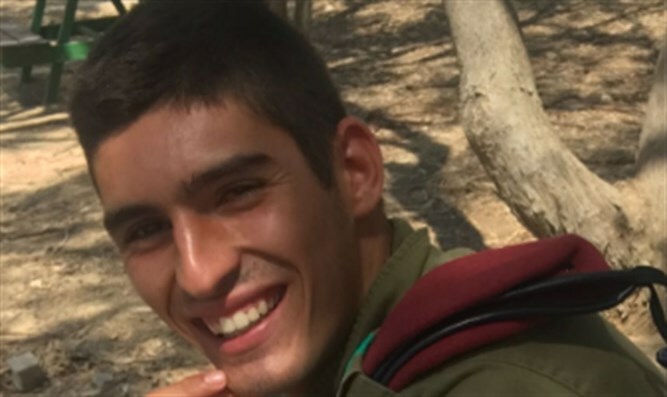 Staff Sergeant Shachar Strug, 20, the soldier from the elite Duvdevan special operations force who was killed yesterday by an unintentionally discharged bullet, was laid to rest today, Wednesday, at the Kiryat Shaul military cemetery in Tel Aviv. Among those present at the funeral were Minister Ze'ev Elkin (Likud), Givatayim mayor Ran Konik, and Boaz Kukia, the father of Ron Kukia, murdered in a terror attack in Arad in November. Strug went to high school in Givatayim, and enlisted in the Duvdevan unit a year ago. He is survived by his parents and sister, all of whom eulogized him at the funeral. A fellow soldier in Strug's unit is suspected of playing with his weapon, from which the fatal bullet that killed Strug was accidentally discharged. He has been arrested by military police, and will apparently be brought for a hearing to extend his remand later today at the Jaffa military court. The Duvdevan force performs high-risk undercover operations in urban areas,during which its soldiers often are disguised in Arab civlian clothes. Soldiers in Duvdevan are the only soldiers in the IDF besides the elite Sayeret Matkal commando unit who are authorized to wear their uniforms without identifying shoulder tabs.